Out! 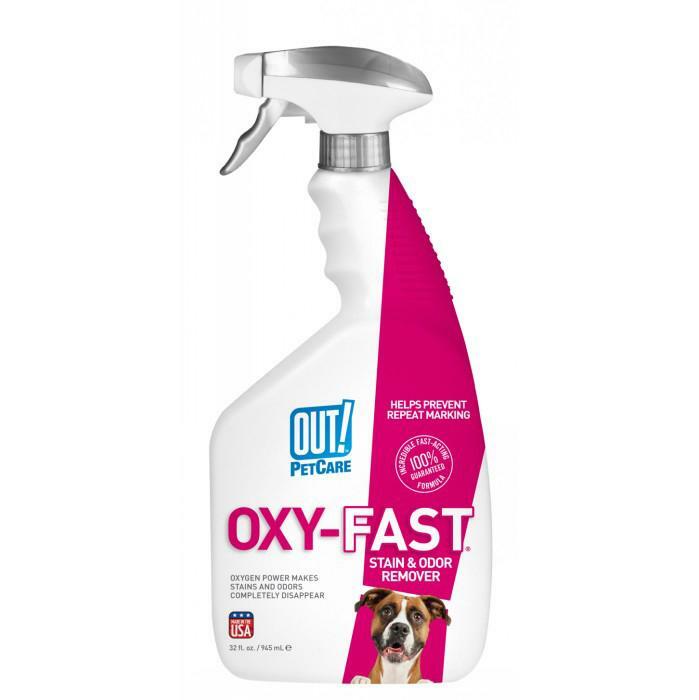 Petcare - OXY-FAST STAIN & ODOR REMOVER SPRAY 945ml - 230_CLEANING & ODOUR PRODUCTS, Stain Removers & Odour Eliminators, Out! - Product Detail - Prestige Pet Products Pty. Ltd.
Say bye-bye to stain and odours and hello to cleaner carpets. This oxidizing power completely removes the hardest pet stains and odours. This will work on new and old problem areas. Great for other household stains, including dirt, grass, coffee and more. Can also use as laundry pre-treat.